Travelling as a solo female traveller is often seen as a daunting and dangerous activity, when it actually doesn’t have to be. 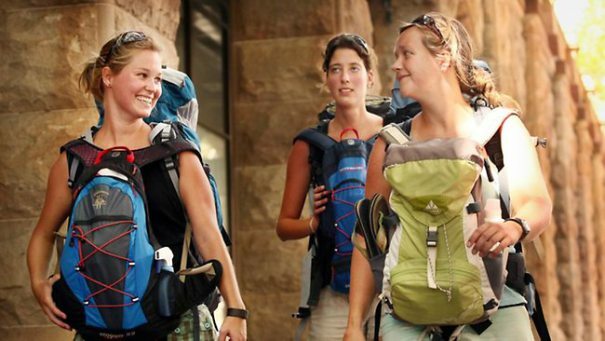 By simply following these expert travel tips, you can already reduce all the potential risks and get the most out of your solo backpacking trips. Exude Confidence. Being confident is just a natural weapon against those who may want to harm or take advantage of you. Appearing weak and lost will only make you an easy target for these predators, so set off that “don’t mess with me” vibe by acting like you know where you are and what you’re doing early on your trip. Use Your Common Sense. Going on solo trips can actually be safe if you just put your common sense to good use, such not walking in a dark alley in the middle of the night and not accepting a car lift from three guys that you just met. Yes, it may be easy to lower your guard down you’re travelling and having fun, but it also pays to use and follow your common sense to keep yourself safe most of the time. Stay Alert. Being aware of your surroundings is another way to ensure that your trip is going to be safe. Be aware and cautious of the people approaching you, as well as the common scams and diversion tactics that most pickpockets use. Of course, you shouldn’t take your awareness to the point of being overly paranoid over everything. Keep in mind that you should still be friendly, but cautious enough to keep you safe. Keep a Low Profile. If you really want to keep yourself safe, then the best way to do it is to lower your profile. Blend with the crowd, especially with the locals. A good way to do this is to simply follow the culture and norms of your destination. That way, you won’t be drawing any unwanted attention to yourself, making you less likely to be singled out as a target for some trouble. 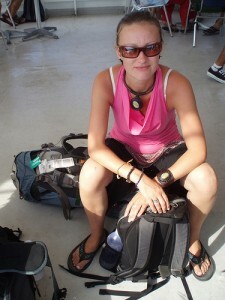 Socialize with Other Solo Backpackers. Perhaps the best part about travelling solo is that you’re actually not travelling solo. Since you’re travelling alone, you constantly get a chance to meet new travel buddies as well as swap some travel tips with your fellow backpackers. Travelling to various places independently can be a very empowering experience. Just make sure that you keep yourself safe by following the aforementioned tips.